Shengjin Lake wetland is located in the middle and lower reaches of the Yangtze River in China. It is a typical lake-type wetland and is also an ideal place for rare cranes to overwintering. The changes of wetland landscape are closely related to the habitat quality of wintering cranes. It is of great significance to study the habitat change of wintering cranes in wetland for wetland ecological restoration and restoration. In this paper, we analyze four kinds of winter cranes and wetland landscape pattern types from the years 1986 to 2015. Also, we adopted the Pearson correlation analysis method to analyze the relationship between wetland landscape types and crane population, and the main landscape types of cranes habitat were obtained. We selected disturbance degree, food richness, vegetation cover, and hydrological condition as the main factors affecting wintering habitat of cranes. We established a habitat suitability index model for wintering cranes and generated habitat suitability assessment maps by ArcGIS. The results show that the change of landscape pattern in Shengjin Lake protected area was obvious, the number of wetland patches increased, the fragmentation degree of landscape increased, the landscape patch difference became smaller, and the diversity index and evenness index increased gradually. From 1986 to 2015, the number of wintering cranes decreased and the habitat suitability index of wintering cranes decreased from 0.845 to 0.465, and the habitat suitability of wintering cranes fell from 13,577.11 to 7424.42 ha, which showed the overall habitat deteriorated significantly and had a positive correlation between the crane population and habitat suitability. A correction to this article is available online at https://doi.org/10.1007/s11356-019-05113-1. 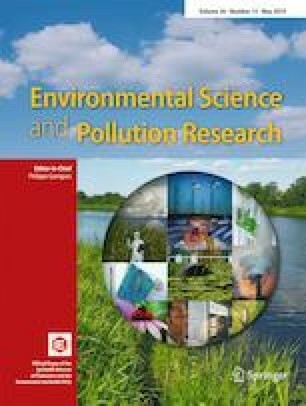 This paper was funded by the project of National Natural Science Foundation of China (41571101) and LUCC in Anhui Province (2011-k-23; 2012-k-24; 2013-k-09); the fund project of Anhui Agricultural University (wd2011-07; yj2012-03); and the project of the forest and land resources research in Anhui Province (KJ2012Z108).